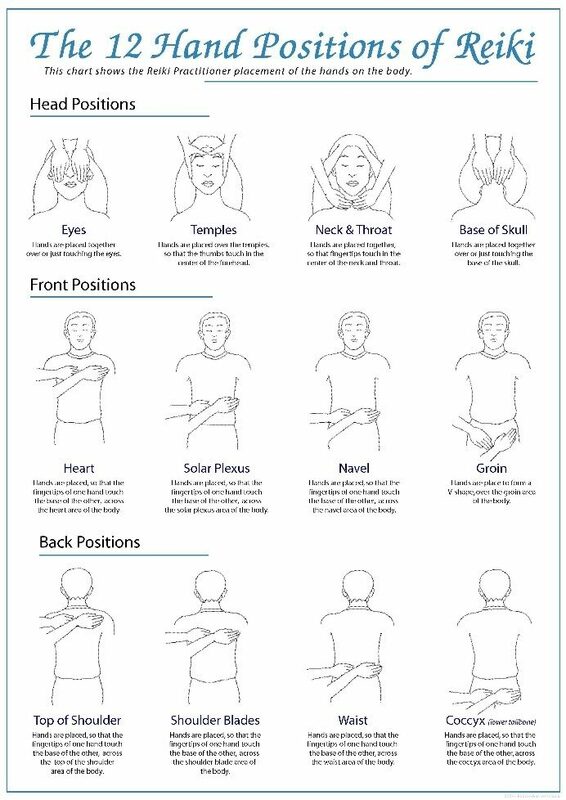 Reiki is Japanese healing that is administered by "laying on hands" and is based on the idea that an unseen "life force energy" flows through us and is what causes us to be alive. If one's "life force energy" is low, then we are more likely to get sick or feel stress, and if it is high, we are more capable of being happy and healthy. All that is necessary for the practitioner to use Reiki is to place their hands on the person to be healed with the intention of healing. The healing energy will begin to flow automatically. It is not necessary for the practitioner to direct the flow of energy; the healing energy will know what to do and where to go. The healing energy communicates with the higher self or subconscious of the person being healed and does what it’s supposed to do. The best results are achieved by simply remaining calm and relaxed and allowing Reiki to work through you. Life force flows within the physical body through pathways called Chakras, meridains and nadis and it flows around us through our Aura. Life force nourishes the organs and cells of the body, and supports their vital functions. When the life force is disrupted it causes diminished function in the organs and tissues of the physical body. Reiki heals by flowing through the affected parts of the energy field and charging them with energy. It raises the vibration level of the energy field in and around the physical body where baneful energy is attached. This causes the unhealthy energy to break apart and fall away allowing the life force to flow in a healthy and natural way. Before you begin a Reiki treatment it is important to center and ground yourself. It is also important to be very clear about your intention. There are three steps to do before beginning the actual treatment: The Hermetic Star, a Circle of Protection and an Invocation of Intent. As with all magickal energy the more focused you are the more powerful the treatments. And as with all magick it is important to protect yourself from picking up unwanted energy. Stand with your left hand palm up raised to the univers, right hand palm down horizontal to Mother Earth. Visualize yourself surrounded in white light, beneficial energy is free to enter, baneful energy cannot enter. The original text that I was taught from said to visualize mirrors, but I feel that reflecting baneful energy back may be harmful. Who knows where that energy is shooting off to? Repeat the invocation thrice, taking a deep breath between each repetition. On the first breath release all baneful thoughts from your mind. On the second breath release all baneful energy from your body. On the third breath release all baneful energy from your spirit. 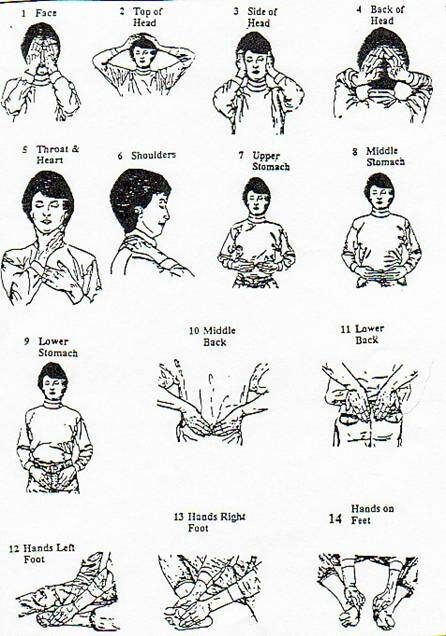 Before beginning any Reiki treatment, remove all jewelry and wash your hands. All that is necessary to start Reiki flowing is to request it to do so. Just ask or intend for it to begin to flow and it will. This can be done simply by saying the word “Reiki” to yourself at the beginning of a healing session. Reiki energy is always ready to flow and will do so whenever you want it to. By simply placing your hands on someone with the intention of giving treatment will be enough to start it flowing. When giving treatment it is important to keep your fingers together. This will concentrate the energy and create a stronger flow. Reiki will flow without you being in a meditative state. You can talk to the client or others and it will still work. However it works better if you focus your awareness on the Reiki energy allowing your consciousness to merge with it. Be aware of the sensations in your hands such as warmth, tingling, vibrations, pulsations or a flow of energy. You may also feel Reiki flowing through other parts of your body. 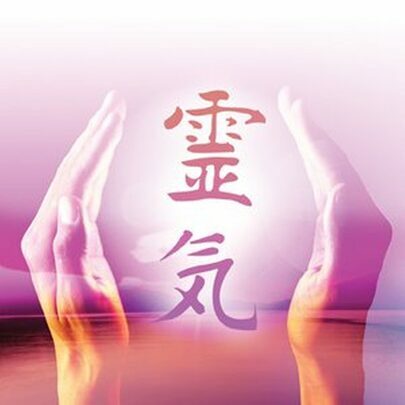 As you dwell on Reiki, you may experience feelings of joy, love, well-being, beauty, balance harmony etc. Allow these feelings to become your feelings. If other unwanted thoughts come up, gently brush them away, and bring your attention back to the consciousness of Reiki. As you do this, you will be allowing Reiki to flow more strongly, and you will also be receiving a deep healing. When you are healing with Reiki be sure that you are in a state of loving compassion and kindness. This will create a feeling of emotional safety for the client and will encourage them to more fully accept the Reiki energy. There is no minimum or maximum amount of time that Reiki should be given. You can never give too little or too much. If you only have a few moments, the benefits of Reiki will still yield positive results. Use your intuition when treating specific symptoms with Reiki energy. Try placing your hands over the area of concern. If you feel a lot of Reiki flowing, then stay there. If Reiki doesn't flow well, ask the client what they feel. If neither of you feel that Reiki is treating the area of concern then allow your intuition to guide your hands. If you feel more Reiki flowing in a different area, and the client feels the symptoms subsiding, then you have been guided correctly. The best place to treat a condition is not always where the symptoms are manifesting. Always ask to be guided to the best place to treat a condition….follow your intuition.